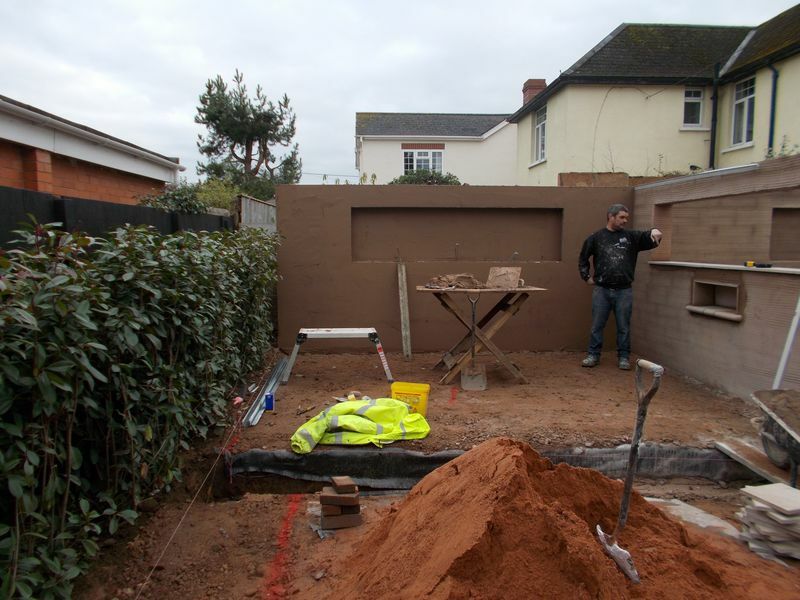 An insight to the daily life of a garden design and landscaping build up on a rear garden located in Exeter, Devon. The top coat is applied with hydo lime included within the render gauge. This will allow the walling render top coat to breathe. 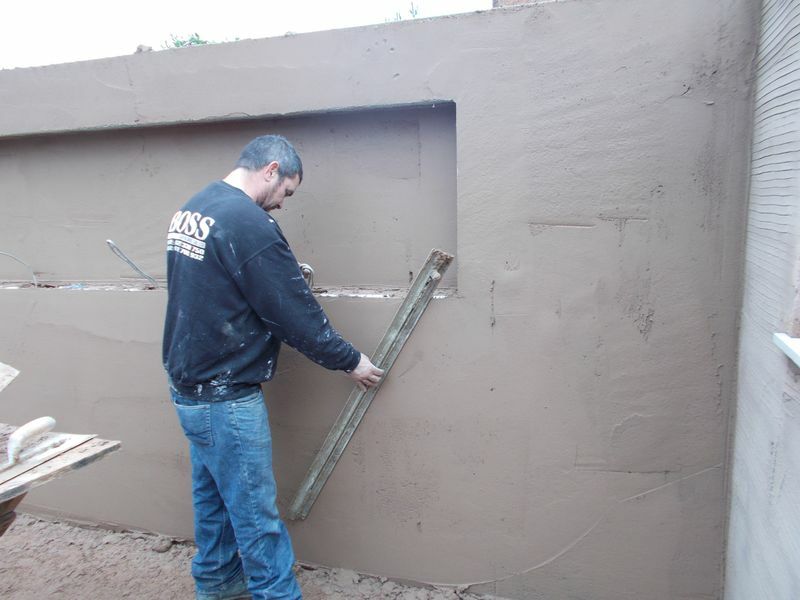 Shane Grant from SGS Plastering services based in Newton Abbot, Devon is our tried and tested internal and external plasterer, he has a very good eye. The beads are tack into place once happy they run true to the spirit level, this beading works occurs whilst waiting for the render top coat to go off. At this time of year it would be foolish to apply too much top coat as you’d be working under lights until the early hours waiting for the render to go off, bear in mind its colder and damper, therefore delaying the setting time. 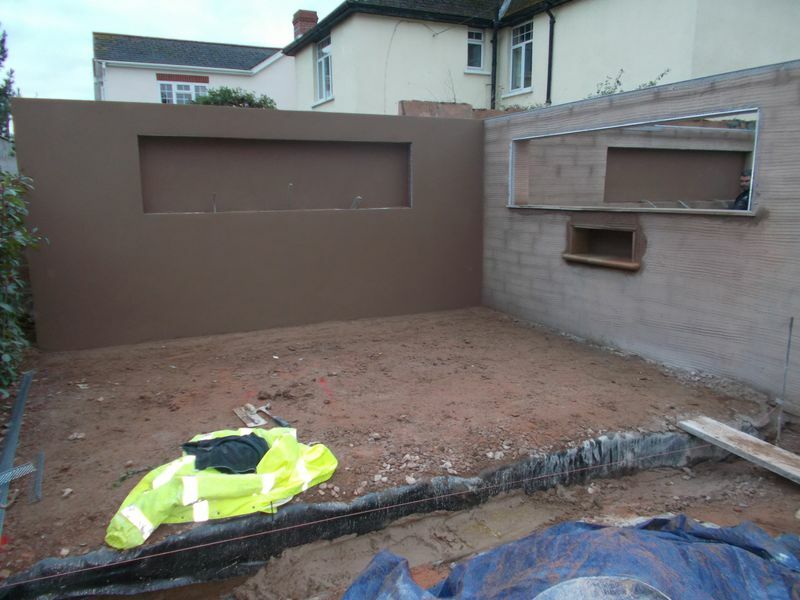 With time patience and a good eye the walling render is rubbed up with a plastic float in the areas required until the wall consistency is equal, whilst at the same time sponge finishing the wall to the entire areas as time will allow. 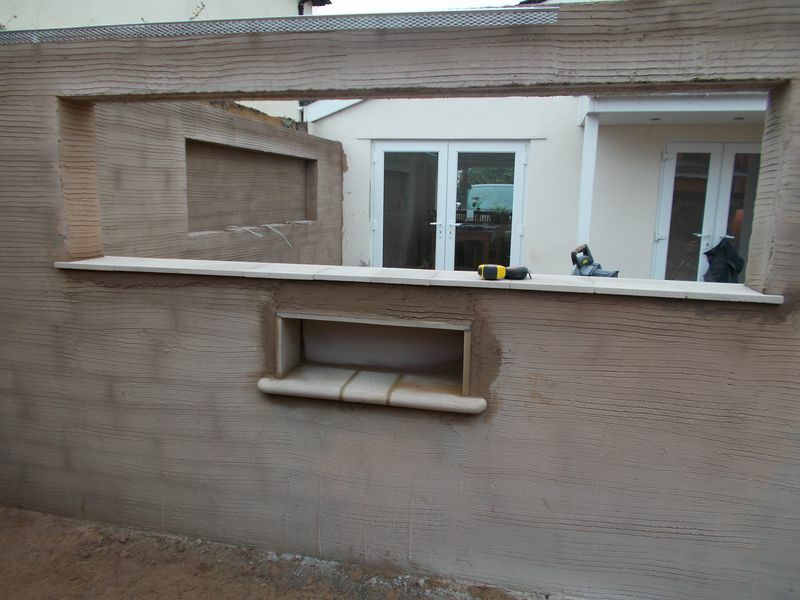 The Marshalls fairstone backing and central bull nose ledge to the speaker case is cut and installed as is the top slab of sawn sandstone, mortar locks the units inplace and the mortar is scratch ready to top coat render. 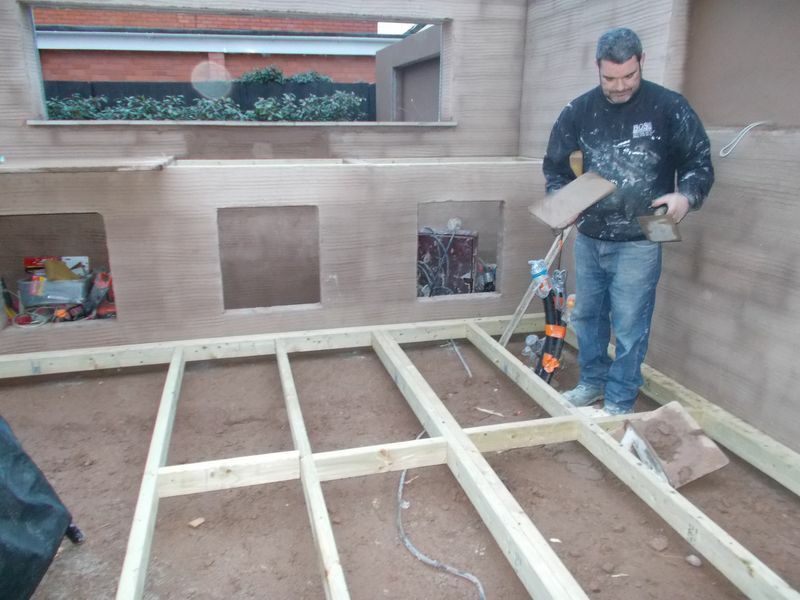 The composite decking main frame is bolted to the perimeter walls and doubled with treated timber, the joist work is installed evenly with noggins. 4×4 posts are dug and concreted into the sub grade at the same height as the top of finished framework. My name is Kerry Jackson and I am the principle designer and proprietor of Jackson’s Landscape Design, based in Newton Abbot, Devon. My company has firmly established as one of the South-West’s leading garden design and landscaping companies, with an ever growing reputation for creating and installing bespoke contemporary and traditional gardens. Kerry Jackson is the principle designer and proprietor of Jackson’s Landscape Design, based in Newton Abbot, Devon.